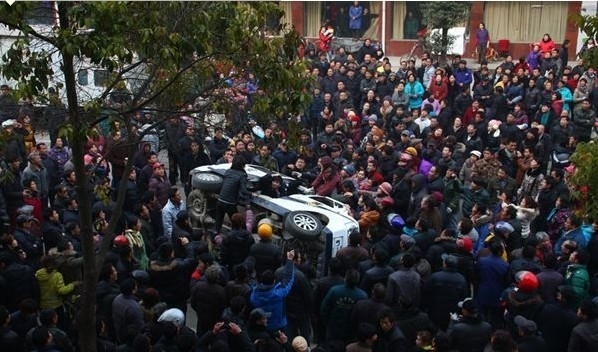 Angry protesters in China overturned a police car after a hospital failed to explain the death of a pregnant woman in Hubei Province. A mass protest erupted between police officers and locals in central China over the unexplained death of a pregnant woman in hospital. The pregnant woman, Li Liuli, was given a Caesarean section by staff at the Jianli County Central Hospital in Hubei Province more than a week ago, but the following day she suffered a cerebral hemorrhage and died on Jan. 17. Local Chinese Communist Party authorities sent riot police officers to take the body and scuffled with Li’s family members. This prompted thousand of people to protest in front of the hospital, leading to more injuries and arrests. 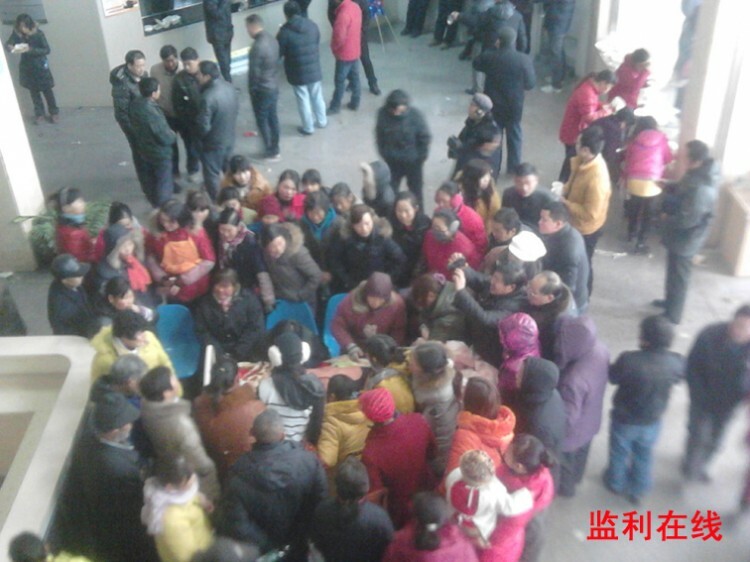 People in central China gathered to protest against a hospital after a pregnant woman died while in its care, and the family was not given an explanation. A police car was flipped over and several other police cars were smashed by angry demonstrators, witnesses told an Epoch Times reporter. Mr. Li, a relative of the dead woman who did not give his full name, told The Epoch Times that police “beat up everyone they saw” during the demonstration after trying to take the woman’s body away. “Two of our family members were arrested and have not yet been released,” he continued. “The body is now at the funeral parlor. During the demonstrations, Li said seven or eight riot police and 100 plainclothes and uniformed police officers were dispatched. He estimated that between 7,000 and 8,000 people were gathered, some of whom were passing by and gathered around the commotion. “The policemen hit everyone they could reach with batons; many people were beaten up so badly that their heads were bleeding and those injured are still at the hospital. And four or five people have been severely injured,” a victim surnamed Li told The Epoch Times. The Epoch Times publishes in 35 countries and in 21 languages. Subscribe to our e-newsletter.